The jingle of muffled chainmail. The twisted mutterings of a dark incantation. The stench of corruption wafting down long-forgotten passageways. Then the terrifying, abrupt maelstrom of light and sound as skeletons, kobolds, elementals, and worse boil up from hidden caverns to attack... and you respond with steel, and magic, and blood! 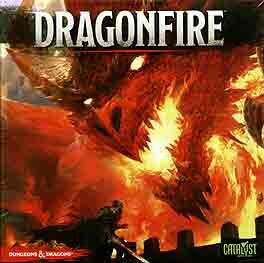 is a 2 to 6 player deckbuilding game set within the world's greatest roleplaying game, DUNGEONS & DRAGONS. Players choose from a number of races, from dwarf to elf, half-orc to human, while assuming the quintessential roles of cleric, rogue, fighter, and wizard. Equipped with weapons, spells, and magic items, players begin their adventure along the famed Sword Coast, then expand to other locales across the Forgotten Realms, such as Baldur's Gate, Neverwinter, and Waterdeep, in future expansion. Along them way, players level up their characters, opening access to additional equipment, feats, and more. Join the quest, and build your own legend!